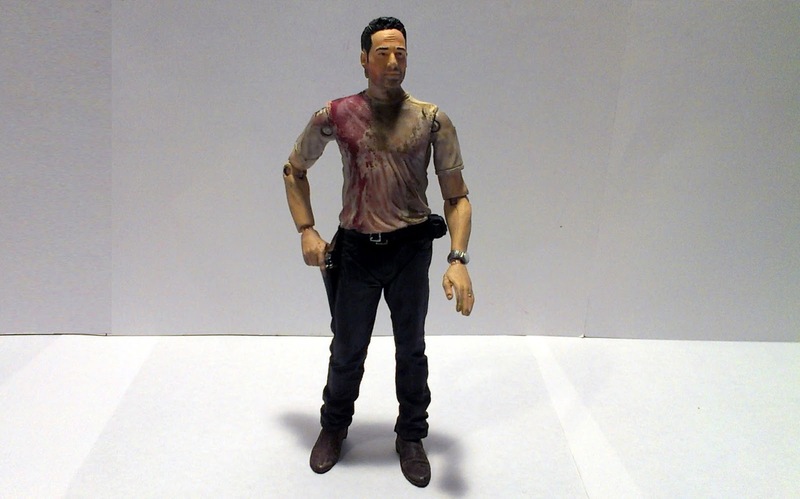 Mcfarlane eliminated the bigger packaging of the first two series and has been pretty adamant about this new slim design. 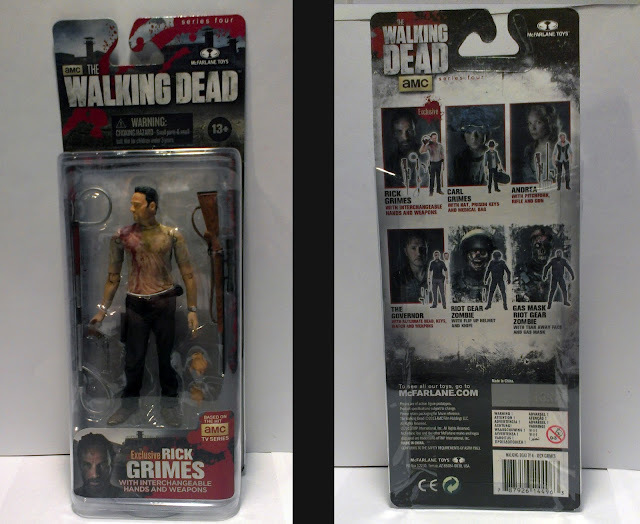 I'm glad, I think the packaging suits the figures and looks really nice when displayed at the stores. For MOC collectors it also means you're saving precious wall space. Certainly an upgrade from the past two incarnations of this character. 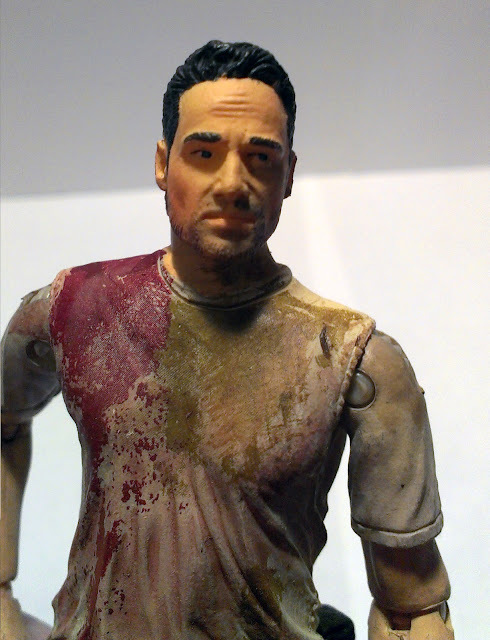 While it is the same sculpt from series two, the paint job definite improvement. The likeness is still a bit soft (especially compared to Michonne) though it's pretty obvious who this is supposed to be. 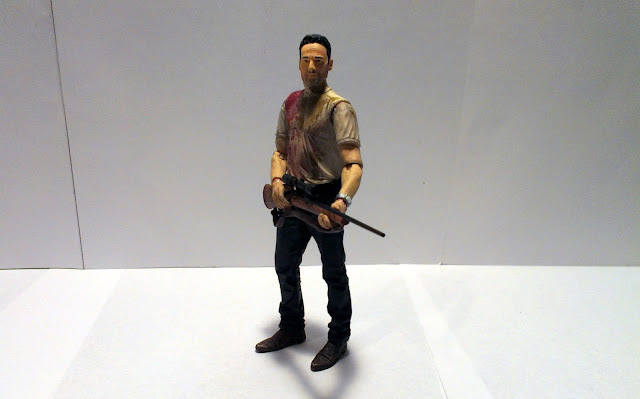 For now this is definitely the best Rick Grimes Mcfarlane Toys has given fans. 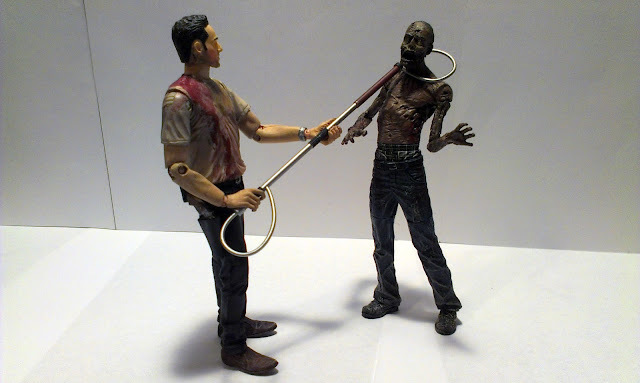 At twelve points the articulation isn't that bad, though he could use joints at the knees. As this is just a basic repaint I wasn't expecting them to go back and fix that issue, I suspect we'll be seeing an updated Rick sculpt eventually however. Accessories are usually this line's strong point. They're typically loaded with various weapons and severed limbs. This Rick is a bit light, but still has a few items for dispatching the undead. 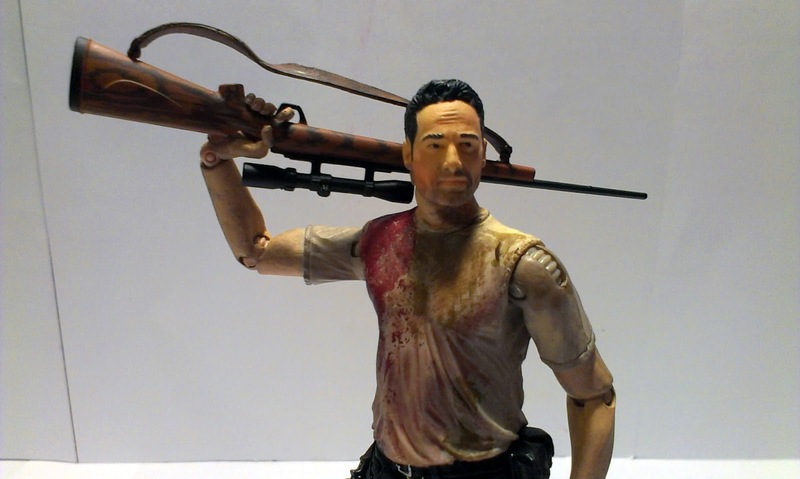 The figure includes a sniper rifle, revolver, an animal control stick, and an extra pair of hands.. While the accessories are few, each one is pretty detailed, the extra set of hands is also appreciated. 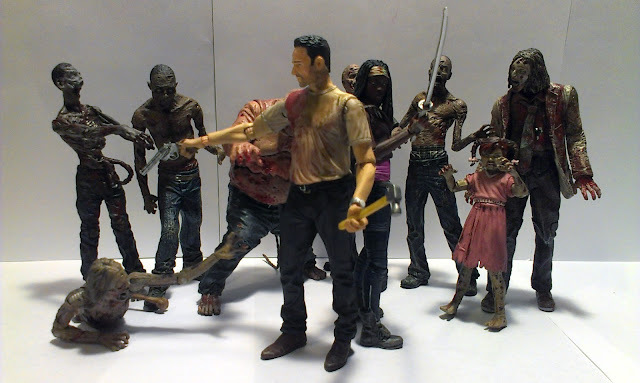 While I would have preferred a brand new sculpt, it's nice McFarlane Toys is giving fans a chance to pick up a Rick without having to pay the premium prices the earlier releases are now demanding. While it's not quite up to snuff when compared to their recent releases, it's still a decent figure at a reasonable price. what is the deal with the cheap scotch tape on the back of the packages? I've been wondering about that myself. valuable famiiarity concerning unpredicted emotions.